One of The Rosenblum Companies’ most recent development projects, The News Apartments, has been named the 2018 “Renovated Building of the Year” by the Capital Region Building Owners and Managers Association (BOMA). 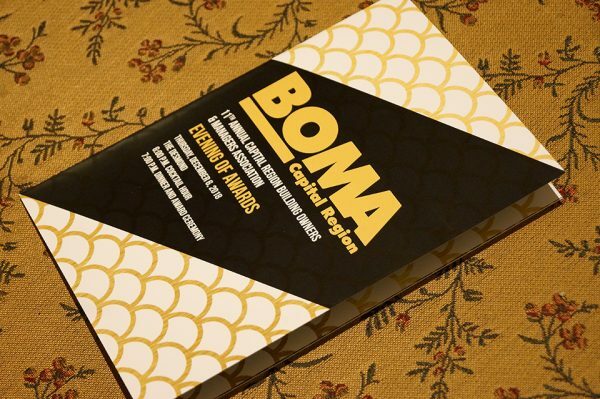 Capital Region BOMA works to represent commercial building owners and managers, professional property management firms, financial institutions, professional service providers and others serving the local commercial real estate industry. View of the historic portion of The News Apartments – the former Troy Record Building – as seen from the corner of 5th Avenue and Broadway in downtown Troy, NY. 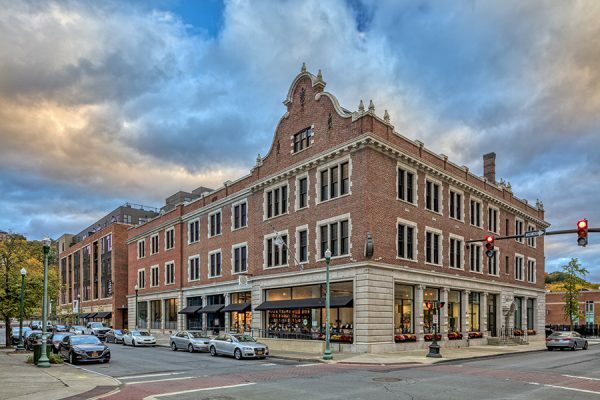 The News Apartments combines a historically sensitive adaptive renovation of the century-old Troy Record building with a complementary new addition to provide 101 market rate apartments, abundant amenities, onsite parking, and ground floor commercial space. The details and character of the existing structure have been preserved, and The Record’s operations over the decades are referenced throughout using furniture made with items salvaged from the newspaper’s operations, oversized artwork and photography, custom finishes, and more. Rosenblum celebrated the substantial completion of The News in September of this year by hosting a panel discussion, “The Newsroom: Community Cornerstone,” featuring current and former journalists from The Record. The event was held at Bard & Baker: Board Game Cafe, one of the new retail businesses located on the ground floor of the building and the third commercial tenant to open at The News. The Rosenblum Companies has been recognized by Capital Region BOMA in previous years, winning the 2015 TOBY “Earth Award” for the company’s dedication to green and sustainable programs, and the “Most Creative Real Estate Deal of the Year” Award for it’s 2016 transaction purchase of 23 commercial buildings from The Beltrone Group. 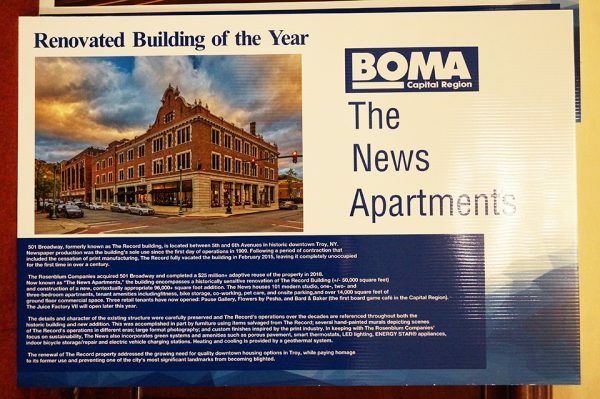 The News Apartments was one of seven companies and individuals honored at BOMA’s annual awards banquet, which was held at the Desmond Hotel in Albany on December 6th. Click here to view the full list of 2018 award winners. 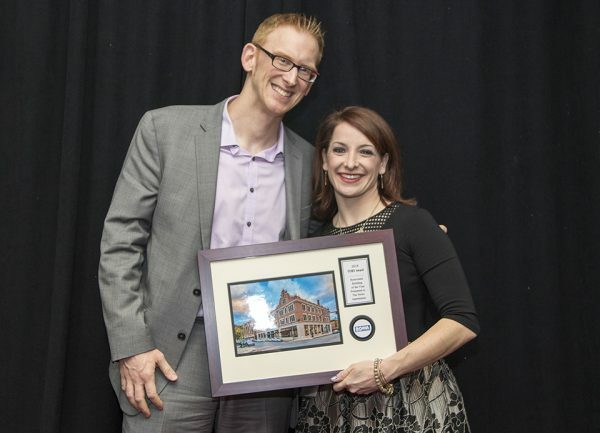 Rosenblum EVP, Jeff Mirel, accepting the Renovated Building of the Year Award from Anna Shapiro, Director of Business Development at MacFawn Fire & Flood Restoration.